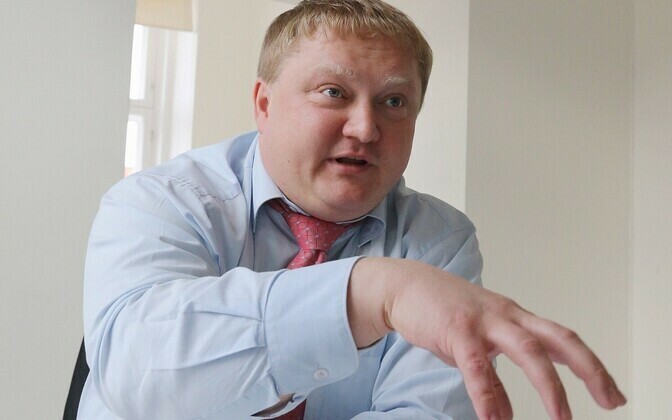 Kajar Lember, former deputy mayor of Tartu and one of the defendants in a case concerning alleged benefit fraud to be heard in court, said in a statement to the media on Friday that not a single substantive allegation of corruption remains among the charges against him. According to Lember, he has been waiting for almost three years for formal charges to be filed against him, and it will soon be five years since the criminal investigation was launched. "In spite of all the investigation, the Prosecutor's Office has nothing substantive left of the corruption crimes from which everything allegedly got its start and based upon which I was convicted by the court of public opinion as a corrupt person and repeat bribe-taker," he said. Lember noted that of the charges, only one episode of bribery has been left, according towhich he received "allegedly a bribe in the form of a €9 haircut with a barber and family friend during a visit before Christmas." He said that one alleged episode of violation of procedural restrictions also remains among the charges, which concerns his voting in his capacity as a member of the city government in favour of improving the Tartu city district of Raadi. "The statement of charges leaves the impression that the establishment of the Estonian National Museum (ERM) and development of the entire Raadi area was actually in my personal interests," the ex-deputy mayor said. "I would like to affirm once again that as deputy mayor of Tartu, I acted exclusively in the interests of Tartu and its residents. My conscience is clean." Regarding the other charges, which involve enterprise support meant for rural areas, he said, "I confirm that all of these projects are in use for their designated purpose, and the costs incurred for their implementation were realistic." According to Lember, a disproportionately large amount of surveillance activity has been conducted regarding him, including years of phone-tapping, eavesdropping, and almost nine months of secret surveillance. "The criminal file consists of 76 volumes containing altogether over 20,000 pages," he described. "There are 57,000 units of materials about me being observed and spied on — photos and recordings of meetings with friends, fellow [Social Democratic Party] members, colleagues and business partners. All recordings of my phone calls, exchanges of messages and emails have been analysed. Nearly 1,000 people have allegedly been questioned in the course of the investigation." Fortunately, he added, several epsiodes included in the initial allegations have been dispelled as a result of said surveillance activity, "as the absurdity thereof was understood." "I believe that hundreds of thousands of euros have been spent on the investigation of this case, which is clearly inappropriate," Lember said. "The media should look into the motives of the police and the Prosecutor's Office, and into who is responsible for this extremely disproprotionate infringement of fundamental rights and wasting of state resources." The Southern District Prosecutor's Office has filed benefit fraud charges against construction entrepreneur Jaago Roosmann, former deputy mayor of Tartu Kajar Lember and six other individuals as well as eight companies. Lember is also accused of violating procedural restrictions and accepting bribes. 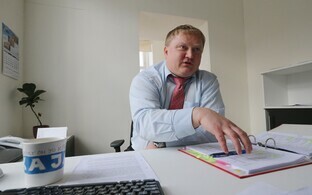 According to the statement of charges, the accused applied for various types of support from Enterprise Estonia and the Estonian Agricultural Registers and Information Board (PRIA) between 2006-2015 with the intention of facilitating the economic activities of several individuals and businesses or putting the funds to non-authorised use. The accused received a total of €1.8 million of support for the development of 10 objects on altogether 36 occasions. 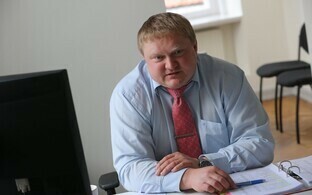 Lember sought to develop a personal business project on a property on Roosi Street in Tartu, and, in his capacity as deputy mayor, was connected to decisions made regarding the development of the property. Given his personal and economic interests in the project, Lember should have recused himself from the decision-making process,and in failing to do so committed a large-scale violation of procedural restriction. The ex-deputy mayor is likewise accused of accepting and using a benefit offered to him as a bribe in return for financing the renovation of a stairway in the city from the city budget. According to Margus Gross, special prosecutor at the Southern District Prosecutor's Office, Lember's possible corruption offences have attracted a great deal of public attention, however it is economic crimes that account for the lion's share of the offences of which he is accused. "All but one of his episodes relating to benefit fraud are linked to construction entrepreneur Jaago Roosmann," Mr Gross said. "In order to deceive Enterprise Estonia and PRIA, the accused came up with various schemes, all of which served the same purpose — to inflate the price of the objects to a point where own contribution would not be required. On some occasions, the support received was put to non-authorised use." According to the prosecutor, the group's benefit fraud resulted in total damages worth €1.8 million to the state. "Economic crimes damage the economic environment and thereby also the interests of honest entrepreneurs and people," Mr Gross said. "By means of deceit, the accused obtained an advantage over businesses that genuinely needed support from Enterprise Estonia and PRIA and put in honest work to earn it. Thus, if the court agrees with the prosecution's assessment, in addition to causing damage to the state, the accused with their benefit fraud also damaged the business sector as a whole." 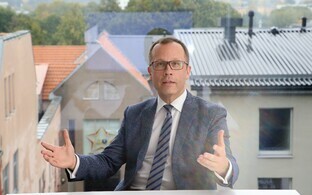 Working in a position as high as that of the deputy mayor of Tartu, Estonia's second largest city, one has to ensure that their activities are motivated by public interests and not personal gain, the special prosecutor said. "The position of the prosecution is that as deputy mayor, Kajar Lember had an interest in developing a personal business project, and he abused the public authority entrusted in him and did not duly remove himself from the process," he continued. "According to the charges, his corruption offences were committed prior to June 2016, when he expressed his wish to resign." Ten properties and other assets in the amount of €1.5 million have been seized from the accused to secure the confiscation of assets obtained as a result of the alleged crimes. The investigation was led by the Southern District Prosecutor's Office and conducted by the Economic Crimes Bureau of the Central Criminal Police.